James Davies gained his PhD in social and medical anthropology from the University of Oxford in 2006. He is also a qualified psychotherapist, who has worked in organisations such as the NHS. James is a Reader in social anthropology and mental health at the University of Roehampton, London. He has published four academic books for presses like Stanford University Press and Routledge, and has delivered talks at many universities such as Harvard, Yale, Oxford, Brown, CUNY (New York), and The New School (New York). 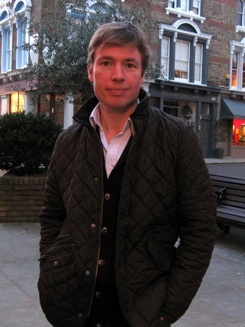 James has also written for The Times, The Guardian, The New Scientist and Salon. He is the co-founder of the Council for Evidence-based Psychiatry, now secretariat to the All-Party Parliamentary Group for Prescribed Drug Dependence. Atlantic have bought UK & Commonwealth rights (excluding Canada) in Dr James Davies’s The New Opium:Capitalism, Mental Health and the Sedation of a Nation. The book argues governments now are more preoccupied with sedating us, depoliticising our discontent and keeping us productive and subservient to the economic status quo, than with understanding and solving the real roots of our emotional despair. 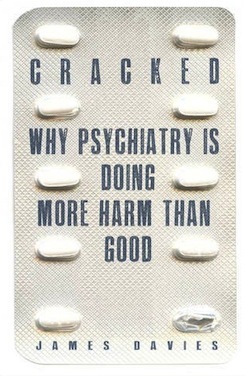 NetGalley has selected James Davies’ Cracked - Why Psychiatry is Doing More Harm Than Good as one of the ten best books of 2013. “Smack in the middle of our society sits a great and dangerous scandal, which you can help to stop by protesting against it and by refusing to be taken in by it any longer. At present you are paying for it (at least £250 million a year) out of your taxes. Somebody you know, perhaps a close neighbour or a relative, may be the victim of it. It involves the needless drugging of hundreds of thousands of healthy people, many of them children. It also involves one of the greatest confidence tricks ever attempted, and some of the most shocking greed. The second extract from James Davies’s Cracked: Why Psychiatry is Doing More Harm Than Good runs in the Times today as a front page on T2. James Davies’s fascinating new book about the excessive diagnosing of mental disorders, Cracked, has been serialised today in The Times.